Many of us are familiar with the kind of avant-garde music that can be created by a solo guitarist. Players from Fred Frith and Derek Bailey to Bill Horist and beyond have shown just what's possible with a single instrument — with or without electronic manipulation. In the world of the saxophone, quite a few players in the jazz world have recorded unaccompanied, though usually without the electronic component guitarists often take advantage of. Matt Nelson bridges that gap with this set of improvised saxophone music featuring the heavy use of effects pedals. As far as I can tell, he doesn't use any looping, though there are times when the feedback from the pedals takes over and gives the impression of overdubbing. He also takes advantages of sounds made by his instrument that aren't part of the normal repertoire, such as tapping the keys. Some of the sounds are quite startling, at least in the context of a sax record, with squalls of distortion and harsh crunches. But my favorite piece is actually "Motor Mouth," where he kills the effects and just blows (in a jazz sense) for more than ten minutes. 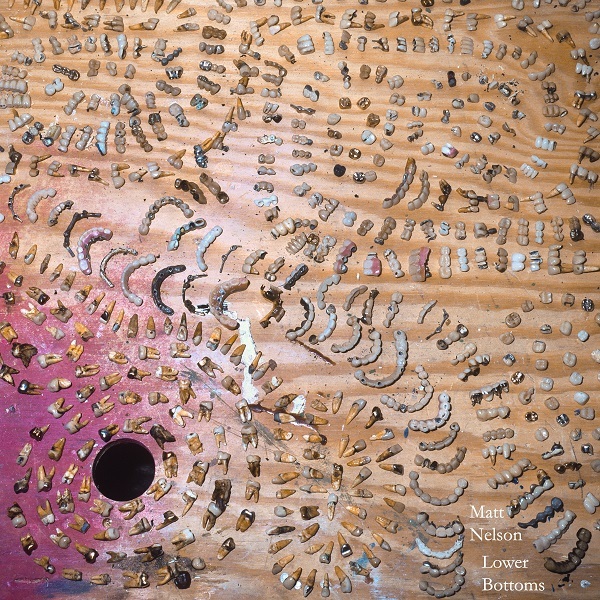 For listeners who enjoy the further reaches of John Coltrane, Ornette Coleman, and the like, and aren't afraid of some abrasive noise, Matt Nelson makes for a fine entry into the fray. I'd love to hear him in a small group setting, where we could get his wildness tempered by some other sounds, but Lower Bottoms is a bold statement of possibilities from an imaginative musician, worthy of notice in the avant-garde community.